Deep Cover on the state of clubland in our birthplace - Oxford, UK. 2015. The core Deep Cover squad interviewed by Subsource Magazine ahead of our debut Birmingham show with The Bug & Flowdan. 2017. Radio appearance alongside Jossy Mitsu & Flowdan on the Brum & Bass Show, hosted by Danny de Reybekill. 2017. The Guardian club pick of the week. 2014. OX Magazine Cowley Road Carnival review. 2015. The Guardian pick of the week. 2015. Phaser Magazine triple spread. 2016. 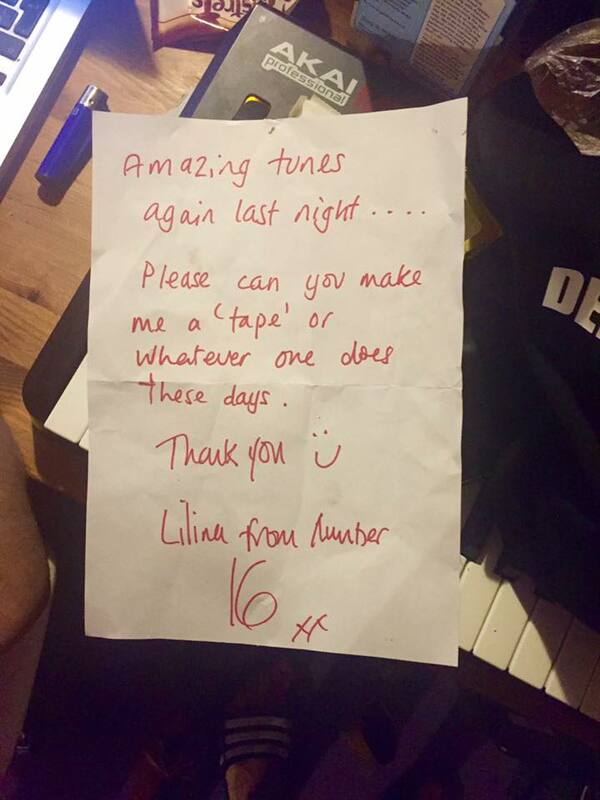 A note from one of our neighbours - Lilina from number 16. We were playing unreleased DC material.